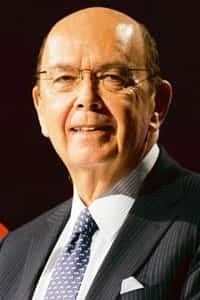 Mumbai: Chairman and chief executive officer of WL Ross and Co. LLC, a New York-based private equity fund, that has invested $80 million (around Rs370 crore at current rates) in Delhi-based low-fare carrier SpiceJet Ltd, Wilbur L. Ross Jr said there are too many duplicative carriers in India and load factors are too low to support profitability for all. On 19 September, Mint had reported that WL Ross had, on its own, started talks with Indian carriers for a possible merger with the Delhi-based carrier. In an exclusive email interview, Ross Jr said SpiceJet does not need other investors to fund as it has sufficient funding even if the crude oil price goes up from the current level. SpiceJet board of directors approved the $80 million investment in a 14 July meeting, around the time when crude oil prices crossed $145 per barrel level. The US investment house Goldman Sachs Group Inc. has also agreed to invest $20 million in SpiceJet through equity warrants. Thanks mainly to high prices of jet fuel, known as aviation turbine fuel (ATF), Indian carriers collectively are expected to post a loss of $2 billion this fiscal. Price of crude oil is a critical factor for domestic airlines as jet fuel accounts for 45% of their operating cost. The reason for consolidation is that there are too many duplicative carriers at present and load factors are too low to support appropriate levels of profitability. There also are economies of scale. We do not need other investors to fund SpiceJet. Our funding will carry it for several years even at prices of oil a bit above today’s levels (currently crude oil prices are trading around $104 per barrel). I do not believe any other private sector airline has committed funds that will carry it as long as SpiceJet. Our analysis is that SpiceJet has the best consumer image of the LCCs (low-cost carriers) and is either the lowest cost LCC or very close to it. Given those factors and its staying power, we believe it is a clear survivor. Also for our funds, the present commitment is a relatively small one and, therefore, if and when it were to need more capital, we could easily provide it as long as it made economic sense to do so. Given the long distances between Indian cities and the difficulties of road and rail transport, we believe that airline growth will be more rapid than that of the economy as a whole. We believe the LCC model is particularly well suited to low per capita income countries because it addresses issues of affordability. When it hit the $140s (a barrel), I publicly forecast a decline to the $90-100 level, based on global slowdown and behavioural changes in the OECD (Organisation for Economic Co-operation and Development) countries, especially the US that would reduce demand. Longer-term oil materially above $100 is vulnerable to substitution from alternative sources of energy. Meanwhile, finding costs for oil seem to be $70 per barrel or less and, therefore, there is no need for prices to exceed $100. There clearly had been a speculative element to the peak prices in that I am not aware of lines at gas stations anywhere in the world at any stage of the price rises so it is hard to argue there was a physical shortage. It is also true that the higher prices did not bring out any material increase in production. We also have investments in other industries that were hurt by high petrol prices, not just SpiceJet.